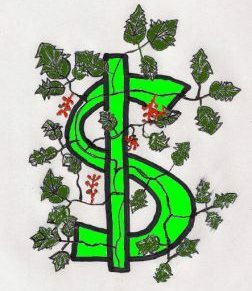 Want to learn how to use the money that you make from work to become financially independent and perhaps retire early? That is the goal of many who are in what they call the FIRE movement. People seeking to become Financially Independent and Retired Early (FIREd) are living on half of their income, figuring out how to cut their expenses to the bone, and maybe even living in their cars to be able to quit the rat race and take control of their lives. FIREd by Fifty will certainly tell you how to become financially independent quickly if you want to live a very minimal lifestyle, but it will also tell you how to get there while still living a more normal lifestyle and enjoying life while you’re getting there. The secret to reaching financial independence is to gather up enough assets (investments) to replace your income. The secret to gathering assets is to control your cash flow so that you’ll have enough money left over after you pay for necessities to invest at the necessary rate. 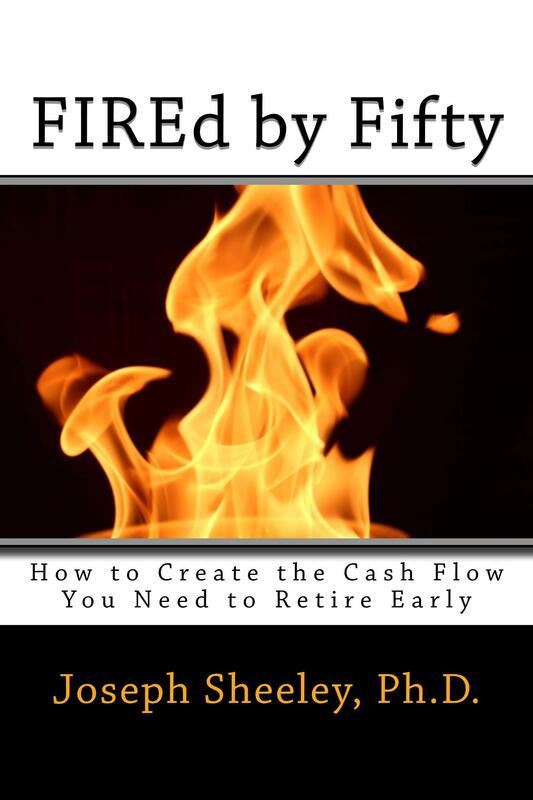 FIREd by Fifty starts out by showing you how to build a cash flow diagram based on how you are spending money today and to determine where you will be in the future financially if you continue spending money as you are now. It then tells you how to calculate your free cash flow goal, which is the amount of money you need free up so that you can be investing enough each year to reach financial independence by a date you pick. Invest your free cash flow goal and you will be ready for FIRE within your chosen time period. It is great to have a goal, but a goal without action is just a wish. Once you have set your goal, FIREd by Fifty offers suggestions on how you can tune your cash flow plan to generate the free cash flow you need while also taking care of priorities such as retirement and college savings. It also provides detailed information on how to use mutual fund investing to reach your FIRE and retirement goals. FIREd by Fifty gives you the complete toolbox you need to become financially independent. After that, the choice is up to you to retire early, use your new found freedom to choose the career you want, or just add to your income to allow you to expand your lifestyle and your ability to give to others. 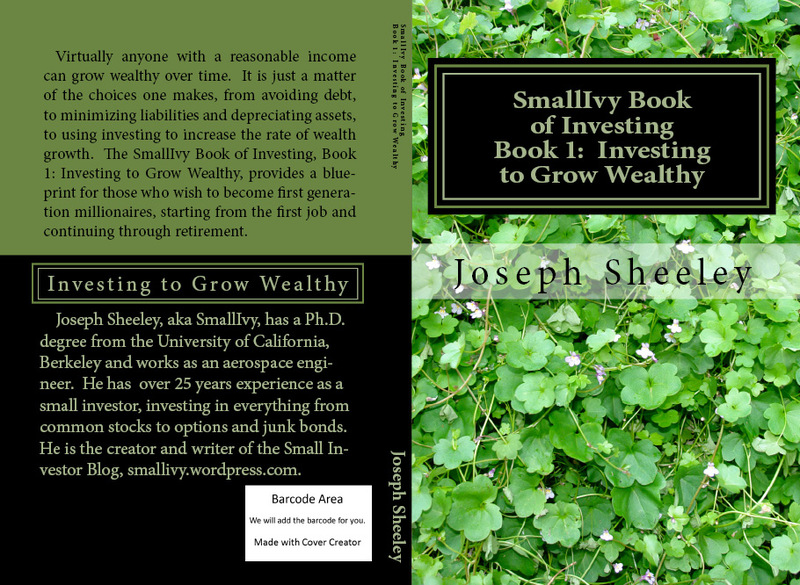 The SmallIvy Book of Investing, Book 1: Investing to Grow Wealthy , available in paperback and for Kindle, was written to be more than a book on the mechanics of investing. It is not a book on stock trading, which is the short-term buying and selling of stocks for a profit, or a book on investment strategies, because there are plenty of those out there in the bookstore. Finally, it is not a book on getting out of debt (although it does tell how to stay out-of-debt) because Dave Ramsey and Suze Orman have plenty of great books on that topic. Instead it is meant to take over where Dave Ramsey and Suze Orman leave off. It answers the question, “Once you are out of debt (or even better, never into debt in the first place), how do you use the power of investing to make the money that you are making at your job grow to the point that you will never need to rely on your job to pay for your daily expenses?” I am convinced that 95% people making a middle-class income of between $50,000 and $100,000 per year can become financially independent in their forties or fifties and retire multi-millionaires. The other 5% are those who have some expense such as medical care for an elder or child that keeps them from saving and investing. For the rest of us, it is really all about the choices we make. Chapter 1, Reasons for Investing: The first chapter gives the basics on what assets are and the different types of assets that are used to grow wealth and then provide income. This is the fundamental concept you must understand if you want to become wealthy – you must acquire the right kind of assets to first grow wealth, and then maintain your wealth while generating the income needed for expenses. Everyone should read this chapter to understand the basics of wealth building. Chapter 2, Investment Options – Background: This gives a brief summary of all of the different types of assets with which an investor needs to be familiar. This chapter will be skipped by most readers at first as you get your finances in order, but then used as a reference as you start to get into investing. Chapter 3, Understanding Risk and Reward: This chapter starts with a primer on risk and reward, going into concepts such as time horizon and asset selection. This information is critical because you need to take sufficient risk (with commensurate levels of reward) to grow wealth, but you need to temper that risk properly by using time and selecting appropriate types of assets for your situation. The chapter then goes into the specific risks of different types of assets. This chapter can also be skipped at first, but the risks of specific types of assets should be studied carefully before investing in them. Chapter 4, Matching Investment Risk to Stage in Life: This chapter talks about the overall strategy of acquiring assets appropriate to your stage of life. When you are young you should be buying assets that have a lot of room for growth. When you are older you should start shifting into some assets that provide income and have less risk. This chapter should be read right after Chapter 1 to learn the strategy. Chapter 5, The Investment Strategy: In Chapter 5, the basic strategy is given with the actions taken at each stage of life summarized. This explains how you need to be managing your money and what you need to be doing with your investments to grow and then maintain wealth. This chapter would be read right after Chapter 4. Chapter 6, Early Life Investing: Hopefully you are reading this book when you are between the ages of 16 and 24. This chapter talks about how you should handle your money during these early years to avoid going into debt and to set aside money for investing. It also goes into how to set up an investment plan and a cash flow plan. If you are reading this book while you’re still in your twenties, just dig right into this chapter after Chapter 5 and start your road to wealth. If you are in your thirties, forties, or fifties, read this chapter as well to understand how to set up your investment plan and your cash flow plan. Hopefully you are already doing many of the cash management tips provided in the chapter. If not, consider them and maybe look at how you are handling your money and see if it is preventing you from effectively using your income. If you don’t have a few hundred dollars left over each month that you can direct to investing, you’ll need to manage your income more effectively to grow wealth. If you are in credit card debt or have other consumer loans besides a house payment, your first priority will be to pay down these debts. Using some of the money management tips will help, but you’ll be directing the savings you realize by using the tips to paying down debt until the debt is gone, then you can just keep using the money you were using to pay off debt to start buying assets. Chapter 7, Mid-Life Investing: This chapter is for those who are in their forties and fifties. If you have already been investing for a number of years and have some assets built-up, you can use this chapter to understand how to start shifting into income assets to preserve your wealth. If you are new to investing at this stage, you may need to keep focusing on growth, but look to shift into income assets as you approach retirement age since you’ll need to preserve whatever wealth you have for when you are no longer earning an income from work. Chapter 8, Late Life Investing: This chapter gives details on how to unroll your IRA and 401K plans and how to earn income from your assets in retirement. This chapter should be read by those in their late fifties and early sixties or later who have a portfolio and are looking to generate income for daily expenses. Hopefully you have a multi-million dollar portfolio at this point, but the same strategies would apply regardless of how much you have. The exception might be those who have very little – less than $500,000 in retirement savings and no other source of income like a pension plan. Because you really can’t afford to put any of your assets at risk at this wealth level, something like an annuity or laddered CDs with some of your money in an income fund might be the best strategy. Working with a professional financial planner is strongly advised for everyone, but it is especially critical when you have little margin for error due to a low level of savings. Chapter 9, The Rules for Serious Investing: In Chapter 9, the serious investing strategy is spelled out in detail. This strategy describes how you should be investing with the funds you have outside of your retirement accounts if you want to try to beat the market returns using individual stocks. This chapter should be read right after chapter 6 by young investors or after Chapter 7 by mid-life investors. Some investors may wish to stay with mutual funds for all of their portfolio and accept market returns, which is just fine. Others may want to split their money and put some in mutual funds to at least get market returns and some in individual stocks to possibly add more growth. For those wanting to actually have a chance of doing well with investing in individual stocks, as opposed to simply investing for entertainment, this is the way to invest. Chapter 10, Investing in Mutual Funds: This chapter provides information how to invest in mutual funds, both to supplement your individual stock investments in your taxable portfolio and IRA account and as your only choice in your 401k plan. Some investors may decide to only invest in mutual funds and therefore can skip Chapter 9 and simply study Chapter 10. Chapter 10 should be read by everyone and can be read right after Chapter 1. Chapter 11: An Analogy for Building Wealth: Chapter 11 gives an analogy on using assets to build wealth that really puts the process into perspective for those who aren’t that into investing. This chapter can be read at any time. I’m hopeful that those who buy and read the book will get a great deal out of it. I’m happy to answer any questions or clarify any of the concepts. Just leave a comment with your question. Also, I’m working on the second book, which will provide information on individual stock selection to complement the serious investing strategy. Hopefully it will be out in the next few months. Happy reading!